While beauty products may be considered by some to be a shallow and unnecessary indulgence, I think they play an extremely important role in a woman’s self esteem and confidence in how she portrays herself to the world. I know I for one feel a million times better about myself when I’ve styled my hair nicely and put on a slick of make up before leaving the house. But the beauty industry has the potential to play an even more vital role in the lives of women young and old, as beauty brands have the power and positioning to talk directly to women and influence their perceptions of beauty ideals. Dove is a pioneer in portraying realistic ideals of beauty and now its new campaign launched this week encourages girls and women to have a positive relationship with themselves and their appearance. With the strapline ‘Together we can make a difference. 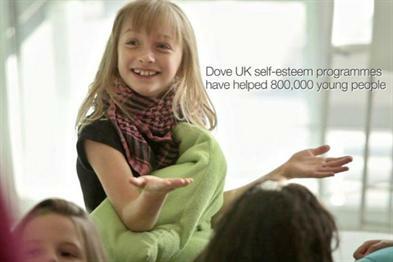 Dove brings self-esteem education to girls’, the initiative comes off the back of research which revealed that 53% of girls in the UK have avoided certain activities because they feel bad about their looks. What I like about Dove’s campaign initiatives is that they don’t just talk the talk for the sake of marketing activity, they also walk the walk – the whole darned mile, in fact. Back in 2006 the company set up The Dove Self-Esteem Fund (DSEF), designed to inspire and educate girls and young women to widen today’s stereotypical view of beauty. To date, activity has included self-esteem programmes in schools and an investment of £250,000 to run one-hour workshops in partnership with the Beat Eating Disorders Association. This really demonstrates how beauty brands can not only get their products talked about in the press but also really make a difference to the lives of the women they are selling their products to, and aim to make change for the better in society. 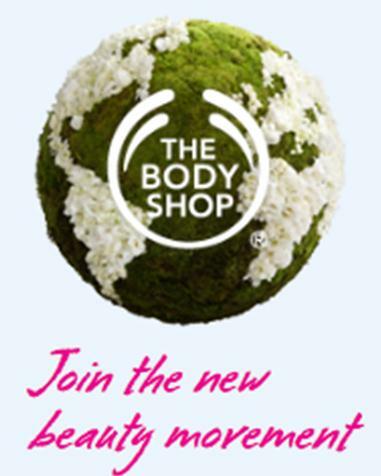 Another initiative in the pipeline is The Body Shop’s Beauty with Heart campaign. Aiming to ‘inspire individuals and transform the boundaries of beauty’, the initiative will encourage people to Look Good, Feel Good and Do Good. Launching in May, as yet it isn’t clear as to what the ‘Do Good’ part will entail - the main press so far has been about the ambassador of the campaign; Lily Cole. The campaign may simply be a way to voice The Body Shop’s longstanding community and environmental projects or it could actively encourage customers to make a change as well - whatever those changes may be. I’m hoping it’s the latter, as this presents a real opportunity to encourage people to make a difference to their world, as well as sell more products. An organisation that may well be worth beauty companies getting involved with is Campaign for Body Confidence. Co-founded by MP Jo Swinson (the same person behind the various complaints to the ASA which led to a number of L’Oreal ads being banned for being misleading), its aim is to create diversity in the models used in beauty and fashion advertising, along with responsible retouching of these images. So far, BareMinerals has got involved by sponsoring the impending Body Confidence Awards, which will reward the brands, products, organisations and industry figures that are best promoting healthy body image. But Swinson seems to be making waves in this arena and I think that if like-minded beauty brands were to team up with Campaign for Body Confidence, together they could have a really positive effect on the beauty industry. Do you think beauty brands can make a difference to our society? I believe beauty brands have an obligation to make a difference in our society. As you mentioned, beauty brands find themselves in women's daily lives and routine. That's a presence and power that can be strategically used to inform, inspire and influence. In return, the brands will receive stronger brand loyalty and reputations. My personal career goal is to blend beauty with social good so I love that you've blogged about this issue. Thanks, Jenni! Thank you Ivellisse, I completely agree with you!